Success! Trevis from Kenya raised $1,224 to fund clubfoot repair. Trevis's treatment was fully funded on November 5, 2018. His surgery was successful. Soon, he will start to walk. 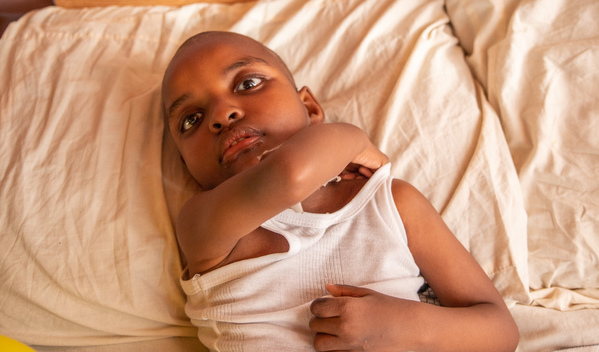 Trevis is a child living with cerebral palsy from Kenya. He is the youngest in a family of two children. His mother sells small items in order to provide for her two children. Trevis has clubfoot of both feet. Clubfoot is a condition in which the foot is twisted out of shape. This causes difficulty walking and even wearing shoes. Fortunately, Trevis traveled to visit our medical partner’s care center, AIC Cure International Hospital. There, surgeons will perform clubfoot repair surgery on September 25. Our medical partner, African Mission Healthcare Foundation, is requesting $1,224 to fund Trevis’s clubfoot repair. After treatment, he will be able to stand and walk easily. “My desire is to see my son standing, sitting upright, and walking like other children,” Trevis’s mother says. Trevis's case was submitted by Joan Kadagaya at African Mission Healthcare Foundation in Kenya. Trevis was submitted by Joan Kadagaya, Curative Medical Support Program-Partner Representative at African Mission Healthcare Foundation, our medical partner in Kenya. Trevis's profile was published to start raising funds. Trevis received treatment at AIC Cure International Hospital. Medical partners often provide care to patients accepted by Watsi before those patients are fully funded, operating under the guarantee that the cost of care will be paid for by donors. Trevis's treatment was successful. Read the update. Trevis's treatment was fully funded. The foot is turned inward, often severely, at the ankle, and the arch of the foot is very high. Patients experience discomfort, and the affected leg may be shorter and smaller than the other. These children have a difficult time walking and running. Years of trying to walk on a clubfoot will cause wounds and other skeletal problems, such as arthritis. Patients will have difficulty fitting in shoes and participating in normal play, school, and daily activities. Many Africans make their livings through manual labor, which can be difficult with an untreated clubfoot. Incidence is 1/1,000 live births in Kenya. This is roughly similar to rates in Western countries, though many cases may be missed. There is no known reason for its occurrence in this region. Patients will undergo a series of small operations, casting, and manipulations during their course of treatment. The bones and joint will become aligned, and long-term disability will be prevented. Clubfoot is very treatable. The surgery is minor and not risky. Care is not easily accessible. AIC Cure International Hospital is one of the few pediatric orthopedic hospitals devoted to serving the physically disabled children of Kenya. Most parents bring their children from remote areas to seek treatment. There are no alternatives. If not treated, the condition will persist and will result in disability. 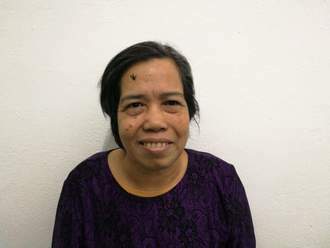 Saphiya is a 58-year-old woman from Cambodia. She has five children, five grandchildren, and enjoys going to the pagoda and listening to the monks on the radio. 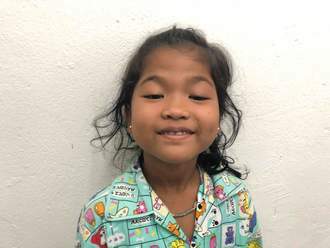 One year ago, Saphiya developed a cataract in each eye, causing her blurred vision. She has difficulty seeing things clearly, recognizing faces, and going anywhere outside. When Saphiya learned about our medical partner, Children's Surgical Centre, she traveled for a half an hour seeking treatment. On February 11, doctors will perform phacoemulsification surgery and an intraocular lens implant in each eye. After recovery, she will be able to see clearly. Now, she needs help to fund this $398 procedure. She says, "I hope that I will be able to see better after my surgery and can easily go outside without any problems." Nita is a second-grade student from Cambodia. She likes to read Khmer books and play with her dolls. Nita was born with ptosis, meaning her eyelids droop over her eyes and block her vision. When Nita's family learned about our medical partner, Children's Surgical Centre, they traveled for three and a half hours seeking treatment. On March 12, doctors will perform ptosis repair in each eye. After recovery, she will be able to see clearly. Now, her family needs help to fund this $398 procedure. Her mother says, "I hope that my daughter's eyes return to normal so she is able to see clearly."